The Radio-Technical Troops (RTT) of the Russian Aerospace Forces will modernize their one-of-a-kind Nebo-M anti-missile radar system, the RTT commander, General Andrei Koban, announced on Saturday. The Nebo-M complex is a mobile multimulti-range programmable radar system capable of providing information on small-sized aerodynamic and hypersonic targets in difficult jamming backgrounds. “We would certainty like to have a multipurpose unit capable of tracking down all types of aerial targets. 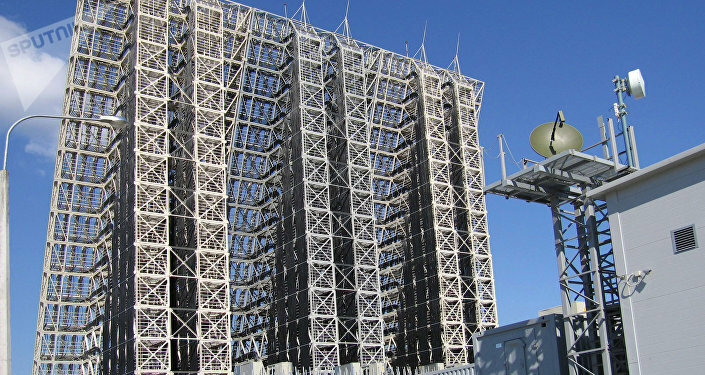 The unique Nebo-M multiband radar complex, which is now being upgraded in Nizhny Novgorod, is the prototype of such a radar system," Koban told Echo Moskvy radio. He added that while the upgraded multirole radar system that will also be able to track targets in space was going to be “pretty expensive,” the RTT needs cheaper means of airspace control. “We are paying a great deal of attention to modernizing the weapons we already have now. After using the equipment for three or five years we realize what has to be done to make it work better, and this is exactly what we are working on now,” the General added. The new Nebo-M radar system features a programmable multiband design. The complex includes central data fusion and a command post module, as well as three radars, all mounted on separate high-mobility trucks. The radar is designed to automatically detect and track airborne targets such as ballistic missiles, stealth aircraft or drones, as well as hypersonic targets. The complex is able to track up to 200 aerodynamic targets at a distance and at altitudes of up to 600 kilometers (372 miles). In sector scan mode, Nebo-M can track up to 20 ballistic targets at ranges of up to 1,800 kilometers (about 1,120 miles) and at an altitude of up to 1,200 km (745 miles). The Radio-Technical Troops (RTT) are designed to conduct radar reconnaissance of aerial enemies and to give radar information on the air situation within the radar field to monitor bodies of the Russian Air Force and other services and arms of the armed forces. The main direction of development of the Radio-Technical Troops of the Air Force includes improving the technical equipment of military units and subdivisions by carrying out activities on life extension and modernization of existing weapons and equipment, as well as the, development of the weapons of the new park: Nebo-M, Protivnik-G1M and Sopka-2 medium and high-altitude radars, Podlyot-K1 and the Podlyot-M and Kasta-2 low-altitude radar systems.